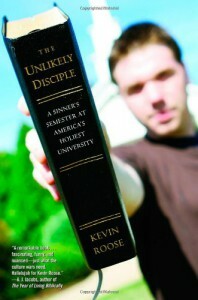 In this book Kevin Roose charts his journey as a transfer student at Liberty University (“Bible Boot Camp” according to Liberty’s founder Reverend Jerry Falwell). Roose is from a quintessential liberal family. His parents are Quakers and the family’s church activity was limited. He has two lesbian aunts. He attends Brown University before he decides to transfer. When I was in college, studying abroad was heavily encouraged. While Roose doesn’t exactly travel across the pond, I am sure some liberals believe going to Liberty is about as foreign as a semester in Greece. I laughed at how “worried” his family was that he might return home a proselytizing Christian. This isn’t a book mocking evangelicals. Roose tries to observe and report about the religious divide that keeps increasing in America – and how much influence a school like Liberty can garner. But even if most of the students at Liberty are pre-tea party, how different can two 19 year old teenagers really be? This is what Roose hopes to find out by the end of his trial. During his Liberty odyssey he takes creationist courses, meets a gay conversion pastor, evangelizes at Daytona Beach (“Satan’s turf”), and during a service watches as an entire arena of students wave their hands in the air and drop to their knees in fervor. He also meets some rebellious kids, a skeptical class president, out and proud feminists, and some hall mates who just want to get laid. He even goes on a few dates. Kevin Roose was 19 years old when he wrote this book. He is erudite but also funny; not only is his book well written but very current. He is also naturally empathetic so the book never feels condescending. Instead of judging he wants to know why. 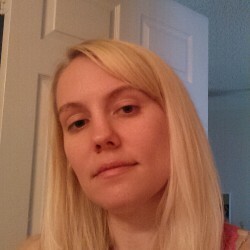 It is easy to see why journalist A.J. Jacobs was his mentor. And this is where a tiny, tiny complaint comes in. Kevin Roose can write. Beautifully. I am not going to lie about the small stabs of envy I occasionally felt while reading this.